The Australian Window Association (AWA) is made up of nearly 600 window manufacturers and industry suppliers throughout Australia. They have established strong links with the window industry in the United States of America, United Kingdom and New Zealand, and they regularly exchange information on the latest developments affecting the industry. As a member of the AWA, Soft Tech attends the annual Fenestration Australia conference in support of the organisation and their efforts, but the event also offers a holistic view of what is going on in the industry, and we like to keep our ear to the ground so to speak. Although many in the industry may prefer to stay away from these types of events to avoid the inevitable sales pitches, I feel attending the conference allows for many opportunities we wouldn’t otherwise open ourselves up to. Along with the social events, 2018 Design Awards and gala dinner, the conference accumulates a meeting up of many influential and experienced industry contacts, keeping us up to date with the latest changes and shifts in the industry landscape. Attending the conference opens your business up to how changes in technology can potentially help your business grow, or encourages collaboration by sharing and discussing your ideas and challenges, and getting industry feedback. 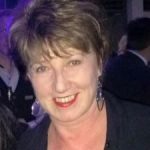 This level of industry knowledge and experience is shown in the calibre of the keynote speakers and breakout sessions scheduled for the conference this year. Our very own Stewart McMillan, Fabrication Business Manager at Soft Tech, will be hosting a breakout session on Thursday 20 September, 4:15pm – 5:05pm, discussing “CNC’s: What are they and are they right for your business?” In this interactive breakout, you’ll learn about CNC’s and gain confidence to incorporate this technology into your business. Stewart will also cover the technology’s strengths and weaknesses, the role of automation, press tooling, programming and the importance to manufacturing now and in the future. Be sure to put that one in your diary now. Our team will also be available at booths 30 & 31 of the trade exhibition running at the conference. We’ll take you through the features of the latest version of V6 and demonstrate the grunt of our transportable CNC in action. When you visit our booth, be sure to leave your business card to enter into our prize giveaway scheduled for the end of the exhibition. To register to attend the conference, visit Fenestration Australia 2018 and download the Conference Program 2018 to be sure you don’t miss out on any of the conference events. Anne Coulter will be making the opening address for the Women in Windows Lunch event taking place at the conference on Friday 21 September 2018, at 12:00pm. 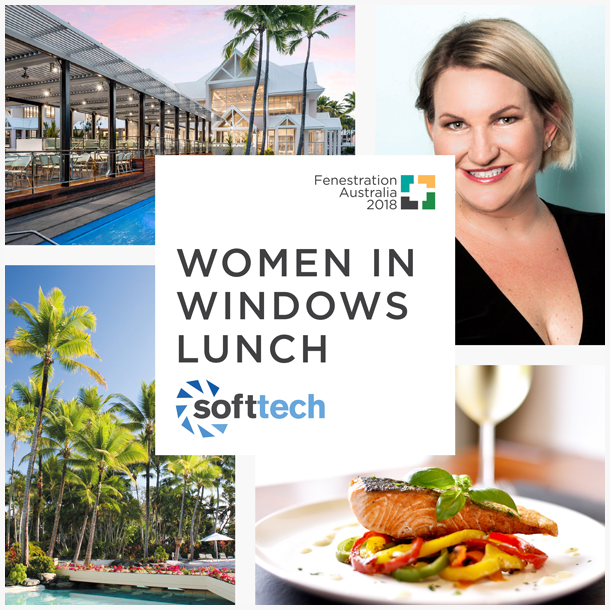 The annual Women in Windows event provides an opportunity to meet and share experiences with other women in the fenestration industry over an elegant two course lunch, accompanied by a keynote talk by Jules Steer.